Vincentia is 185 kms (2.5 hrs) drive south from Sydney and being centrally located on the western side of the Bay. It has extensive views across Jervis Bay to Point Perpendicular, Bowen Island and has lovely white sandy beaches on the erdge of Jervis Bay. The easy access to Jervis Bay from most parts of Vincentia will allow you to enjoy water activities, such as fishing, snorkeling, scuba diving, dolphin and whale watching. During the winter months you can watch the frolicking antics of the whales and dolphins from many viewing platforms as they circle the Bay. 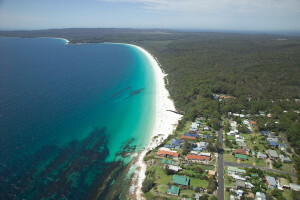 Short easy walks will take you to the many different beaches such as Bernheim, Nelson, Orion, Collingwood, Barfluer and Plantation Point each with their own special features .The coastal walk linking the beaches, incorporates lovely bushland and allows you to access Hyams Beach or Huskisson , were you can enjoy lunch or coffee at the local cafes. Vincentia has a casual a nine golf hole course with a picturesque layout and abundant local bird life to keep you company. The village of Vincentia caters for all your needs with a Supermarket, Post Office and Restaurants all neatly located in the one central area. 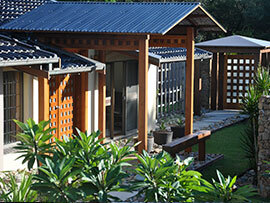 Located nearby is St Georges Basin which is renowned for its fishing or kangaroo viewings at Worrowing. Private Beachfront House accommodation for families and groups in a central location overlooking Collingwood Beach between Vincentia and Huskisson at Jervis Bay. Spacious executive unit, northerly aspect, private sea deck with views along Collingwood beach towards Huskisson. Only 100 metres to nearby shops & restaurants, and a 4 minute walk to beach.